In early January 2015, the much-celebrated annual Consumer Electronics Show took place in Las Vegas. The trade show attracts the top consumer technology businesses which showcase their freshest innovations. Big trends in this year’s offerings were the Internet of Things (IoT) – and the potential insecurity of connected things, the incredible power of 3D printers, and 4K, or UltraHD televisions. 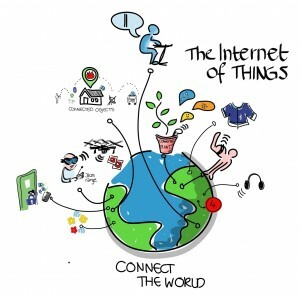 The Internet of Things refers to a web of objects that are wirelessly connected to your devices, services, and one another, via the Internet. In fact, Samsung Electronics CEO Boo-Keun Yoon said that in five years, 100 percent of its products would be connected to the Internet. Samsung has also earmarked 100 million dollars to developing open standards for its products and the field. Sensors play a huge role in connected objects, as the data they collect instructs the object – or its connected devices – how to behave. Self-driving cars interpret data from sensors, radars and cameras to navigate the roads without the need for a person to steer (most of the time). ‘Smart’ bike pedals track your bike rides and fitness stats, help you find where you parked and allow you to locate your bike anywhere, even if it has been stolen. Best of all, they generate their own power when you cycle. Fitness gadgets and other wearables abounded at the trade show, and it is clear that people are keen to take their health into their own hands. However, since the show is squarely focused on the wealthy consumer and the profitability of these new products, there was little geared towards young people’s health, public health or health outcomes for lower-income and minority populations. It has even been shown that wearable health devices in themselves don’t do much to inspire people to stick to their health goals – that kind of motivation typically comes from various other factors, not least from community support. In addition, those buying wearables are likely to already be motivated to stay fit; they are chiefly under 35 and significantly wealthier than the average American. Those who could really use the extra health boost aren’t the ones getting it from wearable technology. 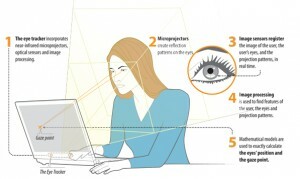 One technology that shows significant promise for disabled computer users is an eye movement-tracking feature from Tobii Technology that overrides the need to use a mouse. One thing that makes YTH Live so special is that the innovation showcased is geared towards the specific goal of improving young people’s health: from connecting homeless youth in California to health services, to apps that allow hearing and visually impaired youth to participate in online conversations, to a global, youth-driven platform that uses video, photography and activism to combat inequality. This approach is inclusive and, partly because tech projects for good often rely on budgets a fraction of Samsung’s 100 million, fosters a sense of creativity and community. What’s in Store for the Future of Tech for Youth Health? With Samsung’s promise of 100 per cent of its products connected in five years, we should be seeing dropping costs for smart objects. Discreet devices that measure levels of sound could be used to alert police, friends or neighbors in cases of domestic violence; smartphones could connect to clinics’ patient records and autofill a client’s information; and there are many potential applications for assisting people with visual impairments. For a taste of technological innovation that’s real, feasible, here and now, join us at YTH Live to celebrate what’s moving youth health into the future. Test New Smartphone App! Get $100!